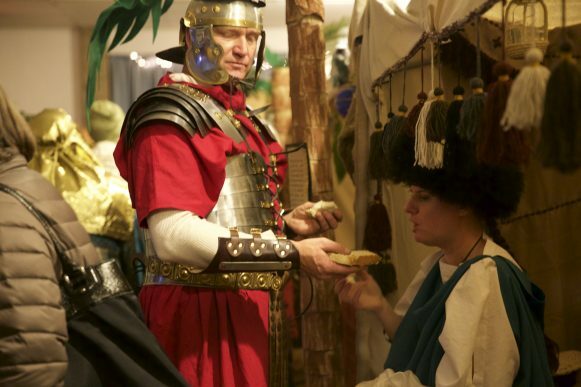 Roman guards stand around small fires, brandishing their weapons; armor gleaming from the flames. 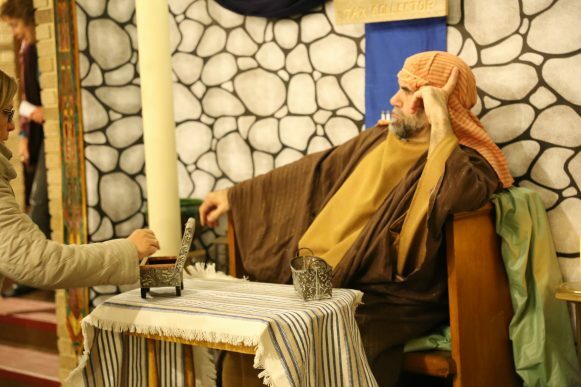 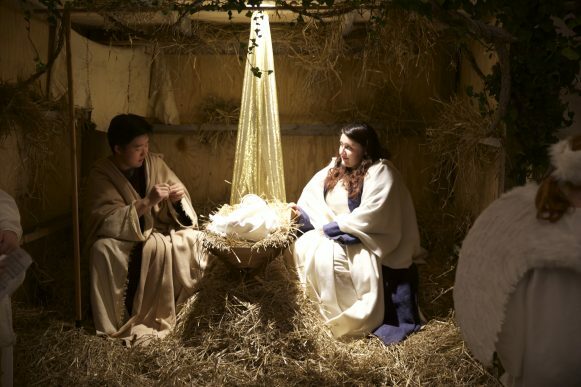 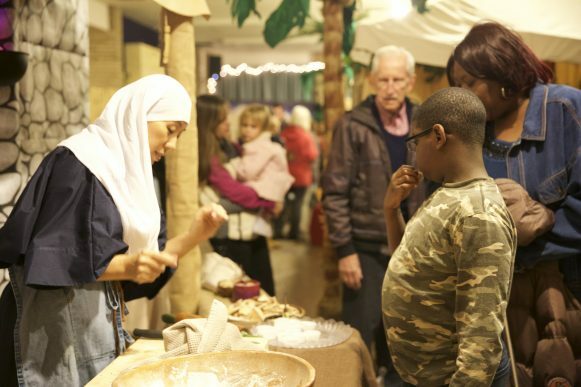 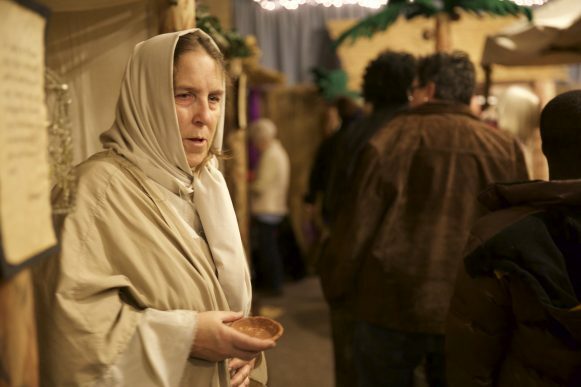 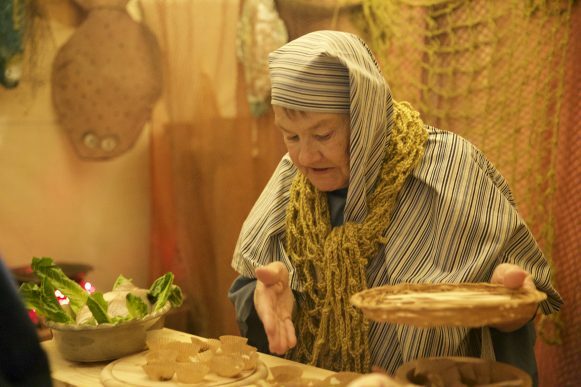 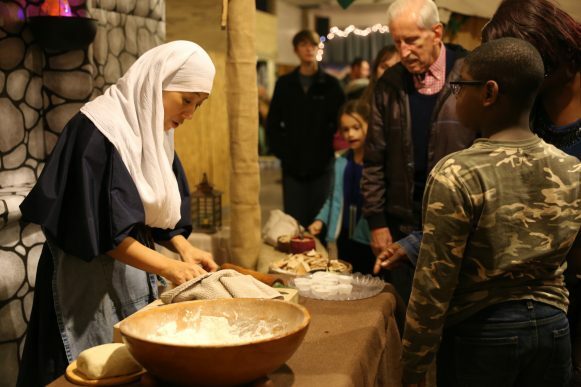 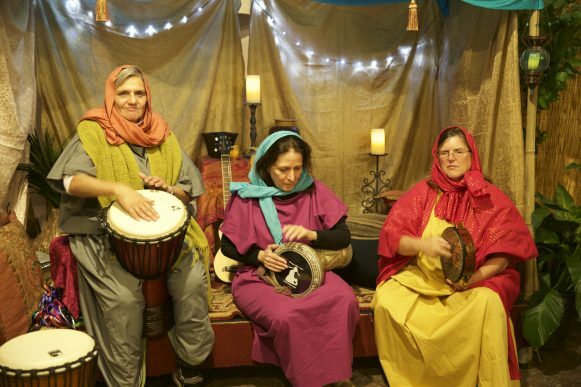 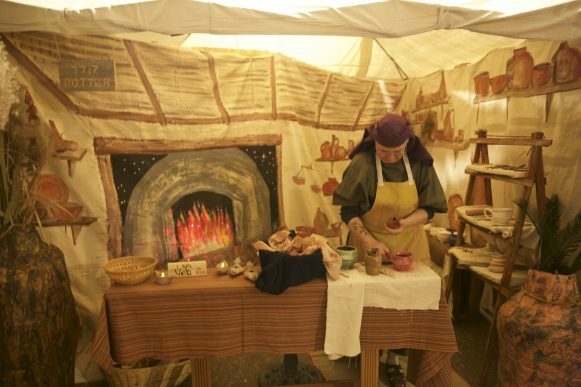 This is the scene at the entrance of West Grove Memorial UMC’s annual ‘Streets of Bethlehem Live Nativity.’ On Dec. 3 and 4, between 6 – 8 p.m., the church transformed into a bustling marketplace depicting an experience unlike any other in GNJ. 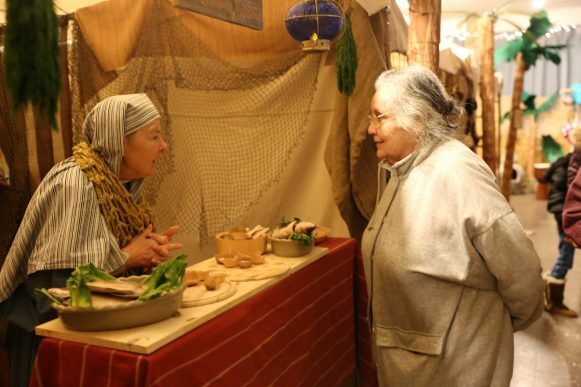 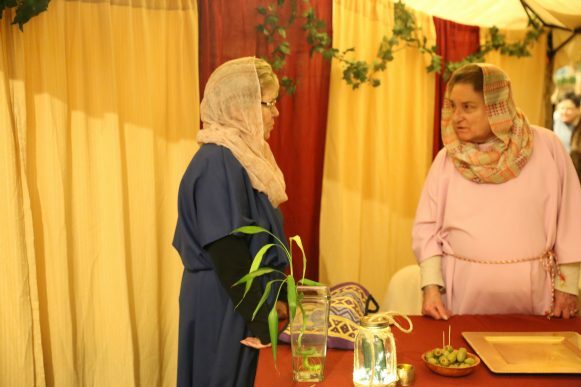 Church members in period attire conversed with one another while keeping character, some “shopkeepers” offered samples of bread, fish, and honey. 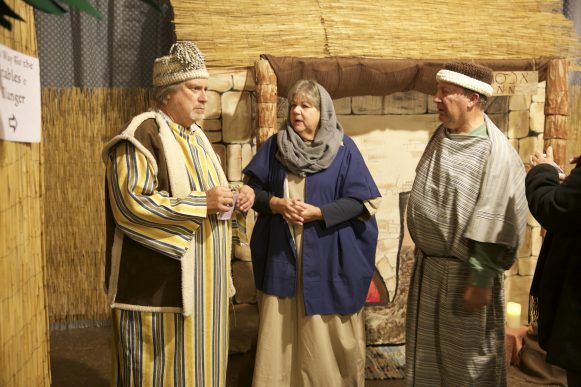 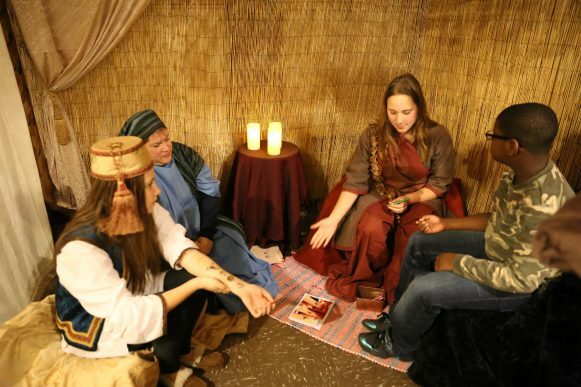 The church’s fellowship hall transformed into the village of Bethlehem offering guided tours to marketplace visitors from both the church and the surrounding Neptune community. 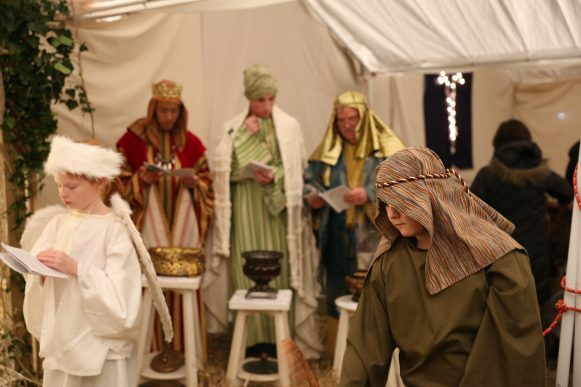 Just as the real city of Bethlehem swelled in population for the census, so did West Grove Memorial UMC, as every year many take part in the impressive spectacle. 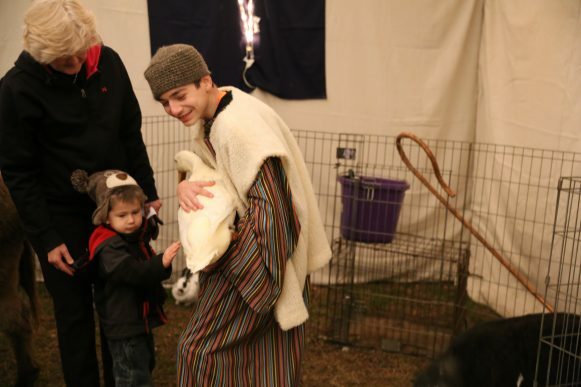 Please click the blue squares above to scroll through and enjoy some photos from this year’s magical event.